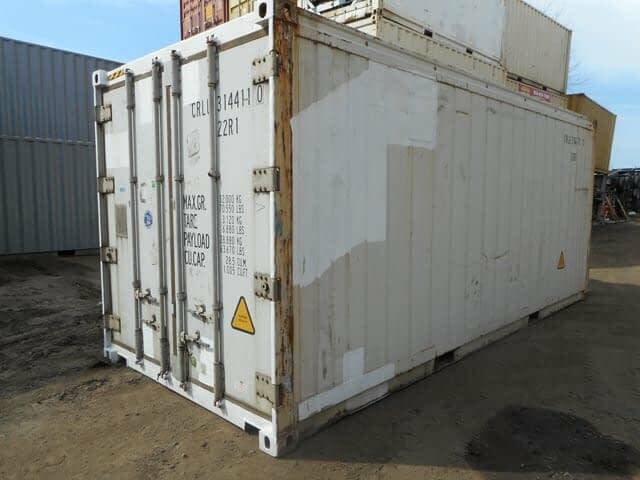 All of these container incarnations are utilized by the Military, Industrial, Commercial, Municipal and Residential clients. 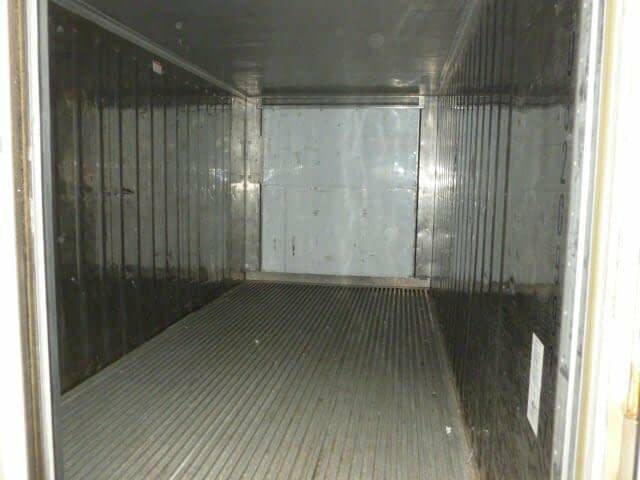 Commercial Refrigeration Unit: Carrier, Thermoking, Daikin. Equipped with a strip curtain to keep cold air in. Maintains a set temperature to protect perishable products. Can be hardwired to a building or placed in the cell of a ship. 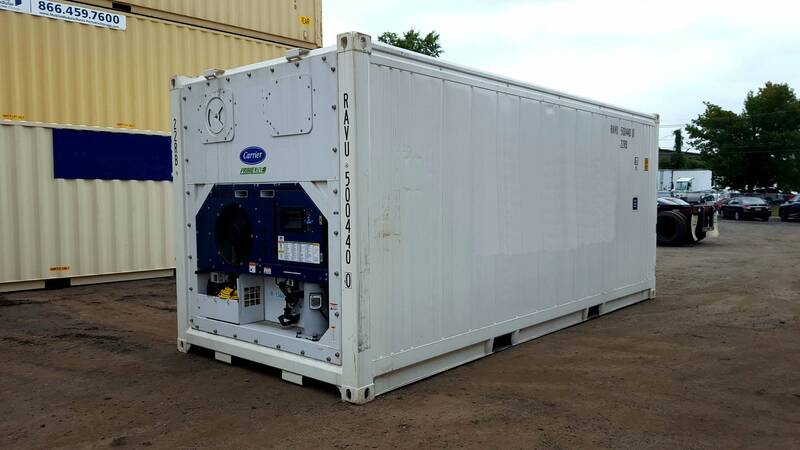 In addition to running reefers we offer non-running insulated containers and Diesel Generator Sets. Diesel Gensets power the reefer when electricity is unavailable. Can be hardwired to your building for instant cold storage. 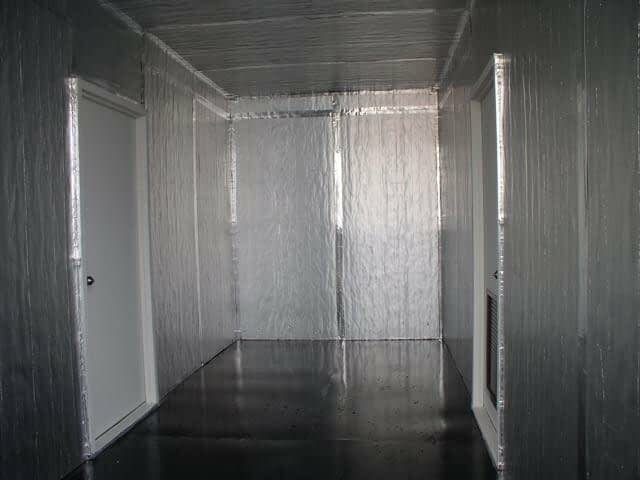 Climate Controlled Environments to protect and ensure freshness. 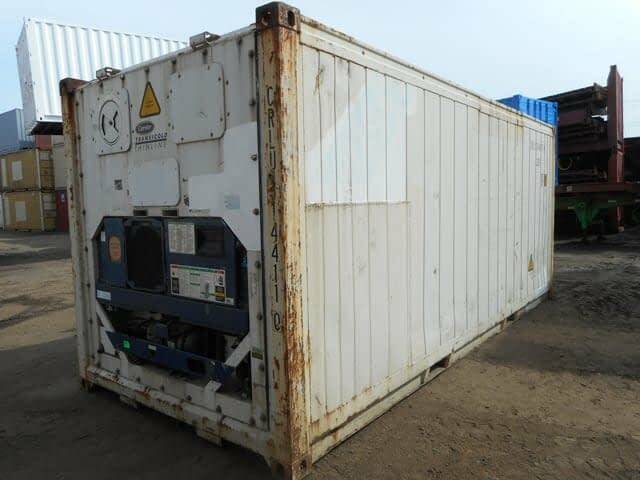 Clip-on Genset easy to mount on front end of reefer for uninterrupted power. Durable, stackable and flexible in design. Ground level access reduces risk of injury on slippery steps. 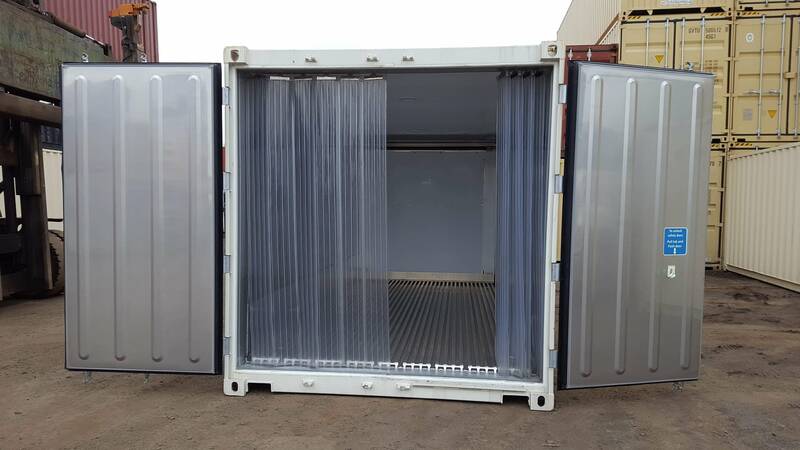 Insulated containers can be modified with a smaller domestic climate unit. Reusable and easy to transport from. Suitable for temporary or permanent applications. Basin with aluminum T-bar strips allows for circulation of cold air. 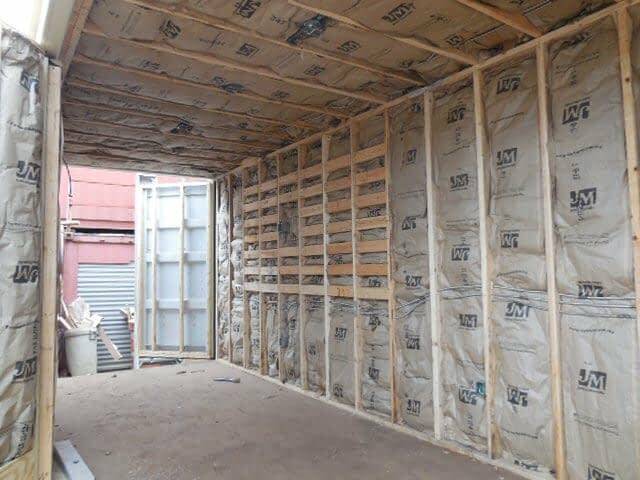 Dense foam insulation in the walls, floor, ceiling and doors. Electric only reefer unit. Cord for plug in is provided. Fork pockets for empty lifting on all 20ft. Frame constructed of 14-gauge non-corrosive cor-ten steel. Keep perishable products in steady temps between -10F to 70F. Stainless steel interiors so easy to wash.
Unit has auto defrost mode. Vandal proof steel locking bars with hasps on doors. Dimensions are general and will vary based on the manufacturer’s specifications. Please contact us for exact dimensions. Seasonal cold storage for Beverage Industries and Restaurants. Temporary climate control shelter for events and festivals. Standard reefer does not fit your application? 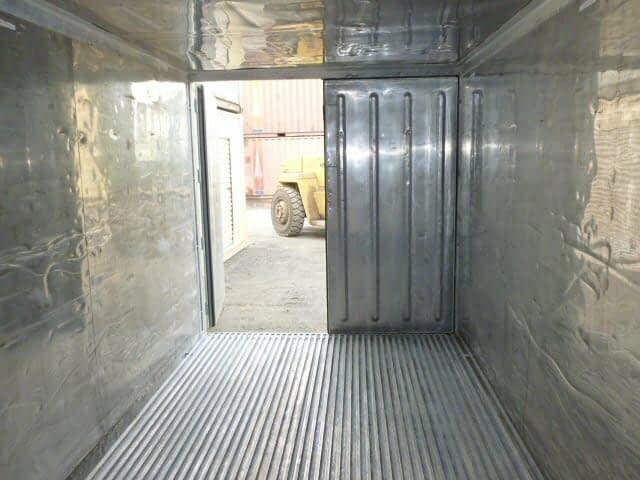 TRS can insulate panel and climate control a dry steel freight container. Generator sets available to keep unit running while not plugged in. Transformers available to provide dual voltage 220/230 Volt. Not just 460V. 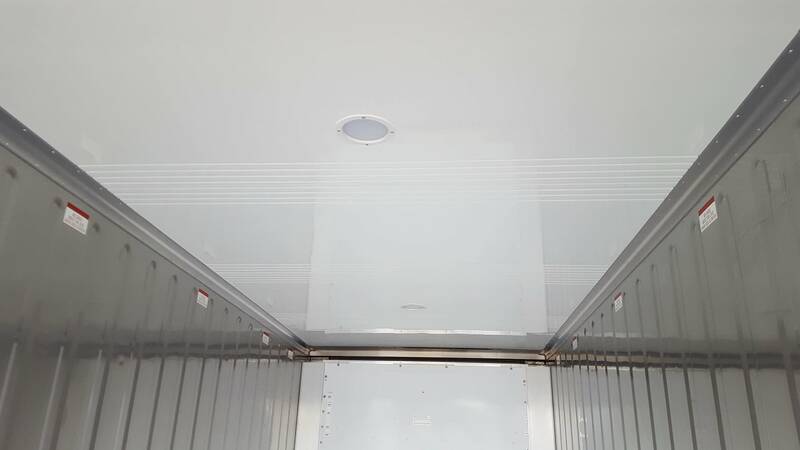 Remove the reefer unit, insulate and panel opening so you can add a roof mount unit.